Earlier, most of the action camera buyers use to think about GoPro as their first preference for investment. The reasons behind its wide popularity were incredible video quality along with classic control abilities. But the trends are revolutionizing now with so many potential competitors in the market. One of the big names in the competition list is SJCam due to its high-quality offerings in terms of video quality as well as hardware design. 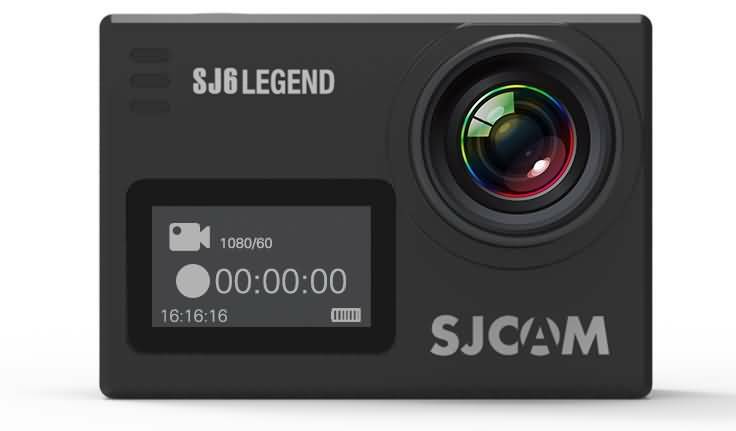 SJ6 Legend is one of the most potential launches from SJCAM; it can capture footage with crisp details at affordable price range. If you are planning to buy a new action camera for your adventure sports needs, check the complete review information about SJ6 Legend to check if it can fulfill all your needs. Loop Record: OFF / 2 Min. / 3 Min. / 5 Min. This classic action camera unit is designed with built-in Wi-Fi support that offers easy remote connectivity. SJ6 Legend is not able to provide good recording results at low light conditions. The build quality is definitely appealing with perfect LED positioning. It offers user-friendly navigation arrangements with simplistic control menu. The 2" touch screen is definitely an added bonus. You will find SJ6 legend action camera well packed in a large box that adds safety to its travelling hours. Once you open out the box, you will definitely have an amazing feeling of holding a rectangular study camera in your hand. The overall dimensions for this action camera unit go up to 59x41x29 mm whereas overall weight is reported as 83 grams when the battery is installed. On its sturdy yet eye-catching body, you will find one camera lens, LCD screen and few LED lights that offer camera status indication. The LCD screen on the front indicates information regarding video modes, battery capacity, and the recording time details. The 2.0” LCD touch screen on the back assists in fast setting adjustments; you can also view all past recordings on this display screen. On the top portion of the device, you will find Record/Shutter button that enhances easy control to camera operations during shoots. The left side of camera possesses one menu button and one power button where the first one offers easy access to all useful camera settings on touch screen panel. On the right side of the camera, you will find ports that offer easy connectivity to external world. It includes MicroSD, MicroHDMI and MiniUSB ports with built in speaker and Mic facility. Finally, at the bottom side, you will find the battery unit along with a threaded hole that allows easy connectivity with tripods. The device also includes a waterproof case in its accessories and the impressive thing to know about this case is that it offers easy control over touch screen. The well designed sturdy camera itself. Rotating flat and rotating curved mounts. 2 stickers are also added to the package. One user manual with get started instructions. How can we forget to mention the added USB cable that is about 25cm long and assists in camera battery charging. Most of the camera buyers keep on complaining about too small size of this USB cable. SJCam has added its best efforts to offer all good features within one tiny action camera unit. But the biggest fact to discuss about its video quality is the interpolated 4K offering. In order to update your knowledge about this technology, let us mention that interpolated word expresses the ability to update lower resolution levels with richer pixel density using some advanced processing techniques internally. It means, SJ6 Lengend can itself record 2K videos only but the end results are 4K with added 2K pixels. But, you will be able to adjust with this feature as SJ6 Legend offers incredible results at its 240 fps and 120 fps adjustments at 720p resolution level and the super capacity results at 1080p. This action camera offers great footage results in day light; however, you may find little decay in quality at low light conditions. You may find little trouble with its low audio quality but overall service is appreciable. You will find great color distribution in all SJ6 Legend camera photos with added sharpness in details. Every picture delivers great information but once you enlarge the view or take it out in full size you will notice blurriness in view. Users report impressive results in day light but performance naturally goes down with low light conditions. One more trouble with its 16MP lens resolution is that with long hour usage you may start facing camera freezing issues. SJ6 Legend is designed to offer great image stabilization service with its advanced Gyro Stabilization system. Even if you start recording videos at a road full of bumps, simply switch to your powerful gyro stabilizer and you will get fine details for whole footage. It can easily minimize the effect of all shaky up and down motions. Most of the users love to use SJ6 cam for their biking adventure as it can record every motion well while staying stick to handlebar or to the helmet. One more advantage offered by SJ6 design is its fisheye correction ability. It will never make you feel annoyed with unwanted bends in the image; this feature ensures all fine details with standard focus. SJ6 action camera is equipped with a detachable battery unit that has 1000mAh rating. If you keep your Wi-Fi and screen off during recording process then this battery can serve you for longer duration. The general battery performance reports reveal its ability to record tirelessly up to 70 minutes when camera is switched to 4K resolution with 24fps settings. If you proceed with 2K/30fps settings then battery life will be extended up to 72 minutes. In case of 1080p you can enjoy recording up to 65 min and 113 min with 60fps and 30 fps settings respectively. This battery takes maximum 120 minutes to get fully charged. 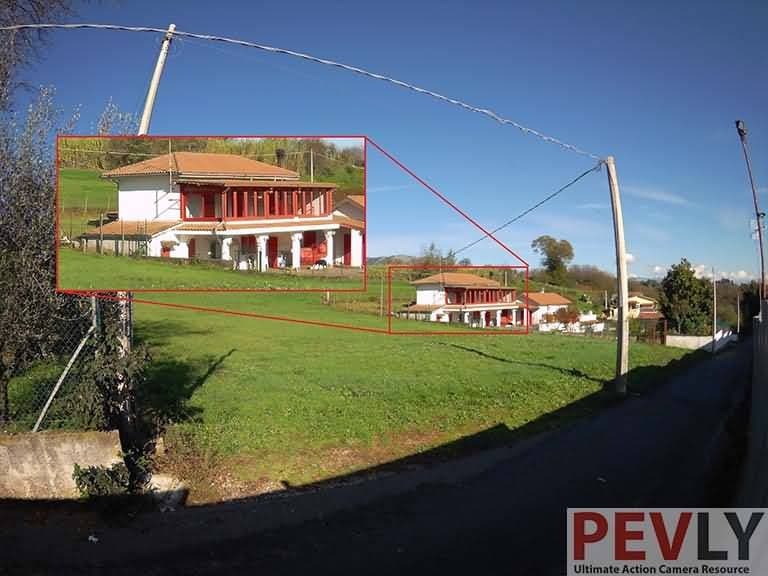 Those who are planning to use this camera with a drone can take benefit from FPV mode as it offers easy view of all details in front of camera when your drone is in the air. This tiny device also offers Car DVR settings that assist in loop recording while ensuring great control over all movements. You will be glad to know that SJ6 is designed with in-built Wi-Fi arrangement so you can enjoy remote control with its easy connectivity on smartphones. The most interesting feature of SJ6 is its SJCAM Zone that allows users to enjoy three step adventurous processing with control, capture and hit the share button option; you can immediately update all impressive footages on internet. After watching all these incredible features, there is no doubt to say that SJ6 cam offers incredible service with its all good design abilities. The LCD panel assists in better control to all camera settings. The most interesting thing is that users can access all recording modes for underwater shooting too and they always lead to eye catching performance whether you are in air or moving inside a car. The only trouble you will find is its low audio quality but all other incredible features are capable enough to cover that aspect. With payment of only $149, you will definitely enjoy lots of impressive features. SJ6 Legend VS Yi 4K: Which one is better?